Cover Crop doing it's job to prepare for the wet 2016 fall. 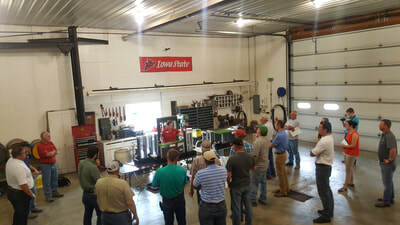 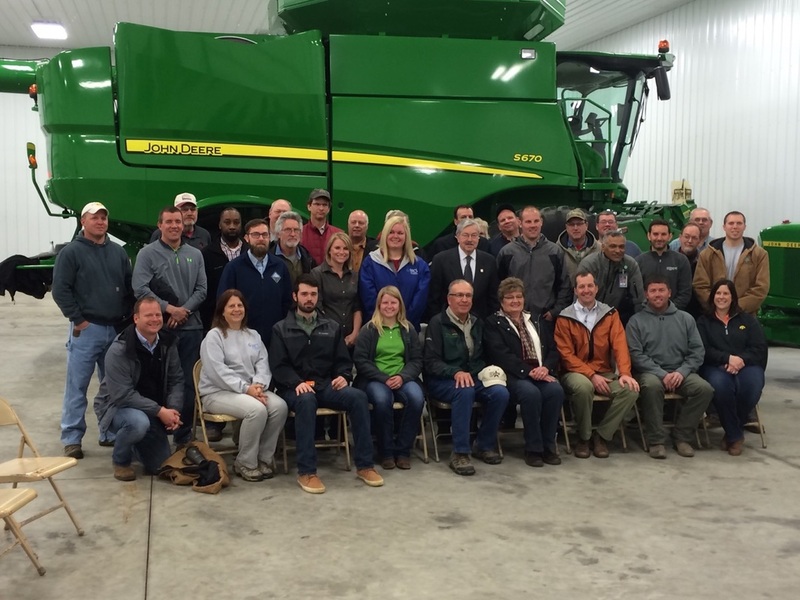 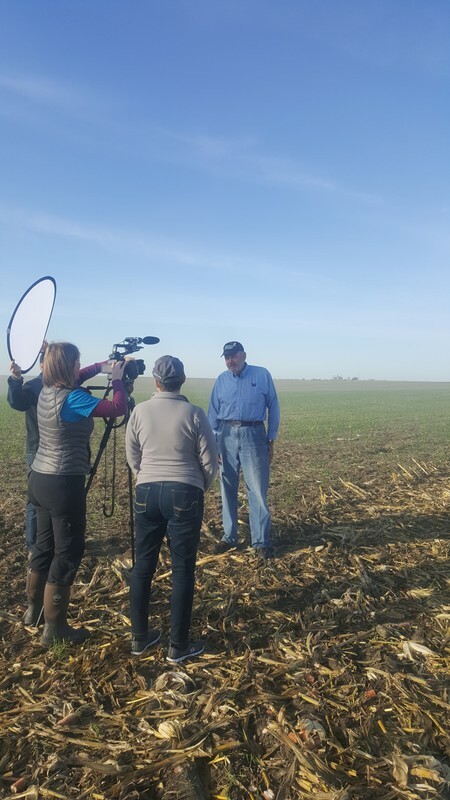 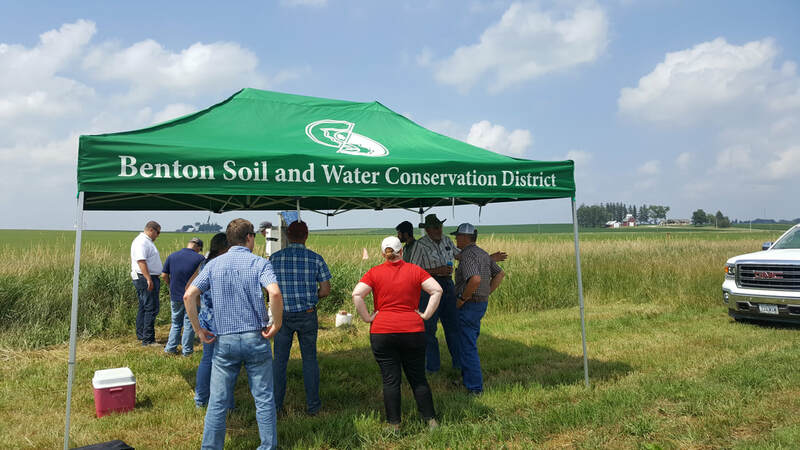 It was an honor to have Governor Terry Branstad stop by on April 27, 2016 to learn about water quality practices on the ground in the Middle Cedar Watershed! 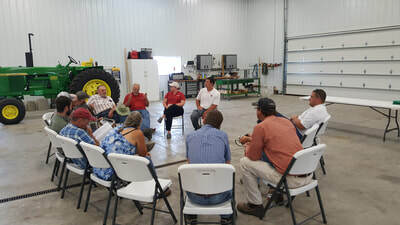 Thanks to John and Kathy Weber for hosting this event! "Knee high by planting time" is the new "Knee high by the 4th of July!" 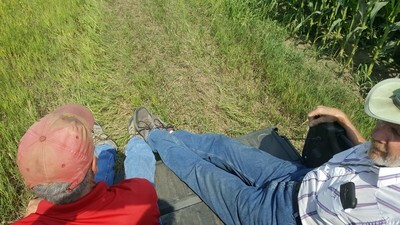 Photo taken April 12, 2016 in a field of cereal rye that was broadcast using a converted sprayer in a field of standing seed corn in August 2015. This is the same field, looking across the rows of cornstalks. From the road, the tops of the stalks are barely visible and the cereal rye is taller than the stalks in places. 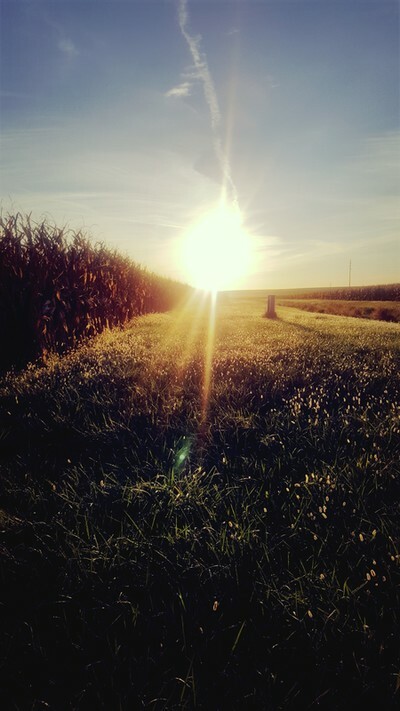 Photo by Dustin Schirm. 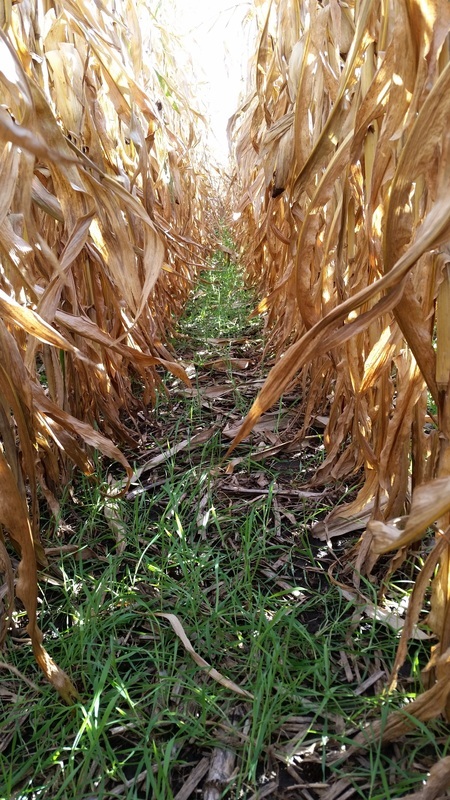 Cattle grazing in a cereal rye field that was drilled following seed corn harvest in 2015. 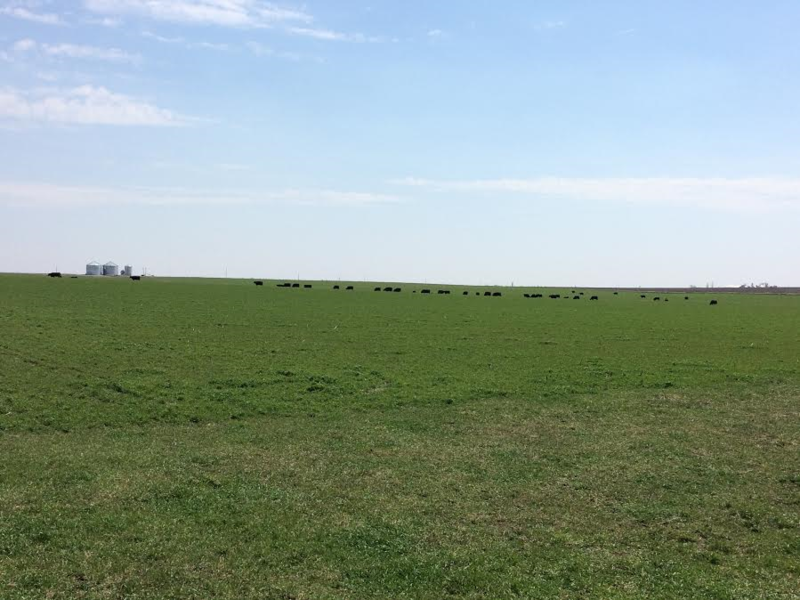 Photo taken April 13, 2016. 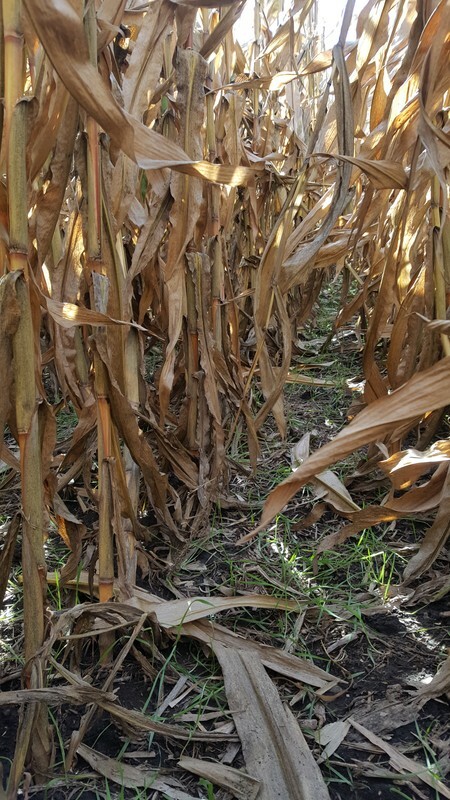 This cereal rye was flown into standing conventional corn in August 2015. 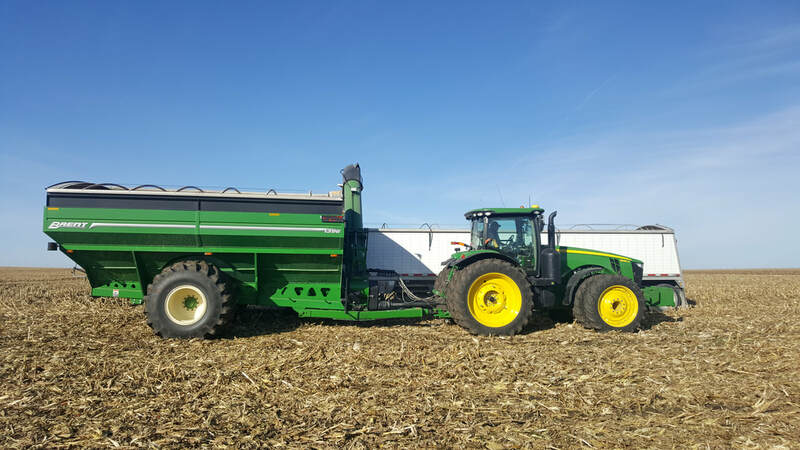 Photo taken April 12, 2016. 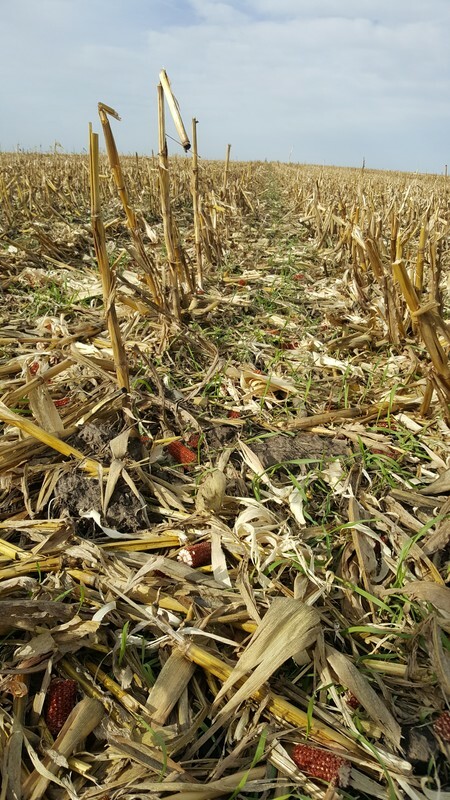 This cereal rye cover crop was no-till drilled on this field after seed corn harvest in mid-September. 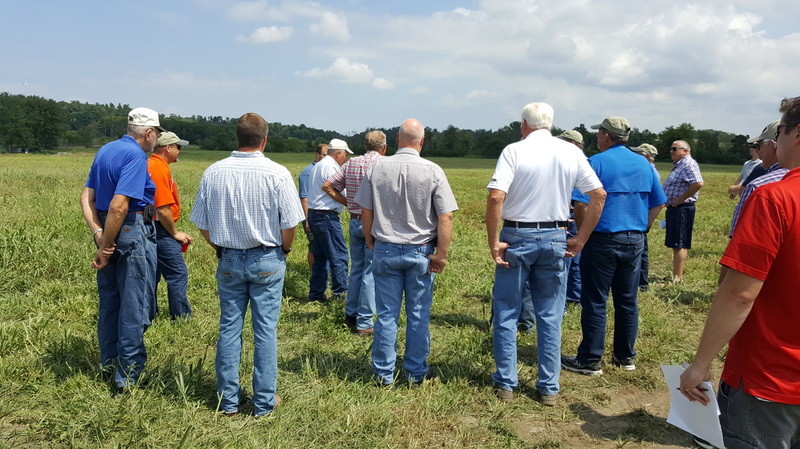 By getting a cover crop in right away after harvest, this producer is able to keep weeds from overtaking his field this fall, and he'll graze cattle on it both this fall and in the spring to maximize efficiency. 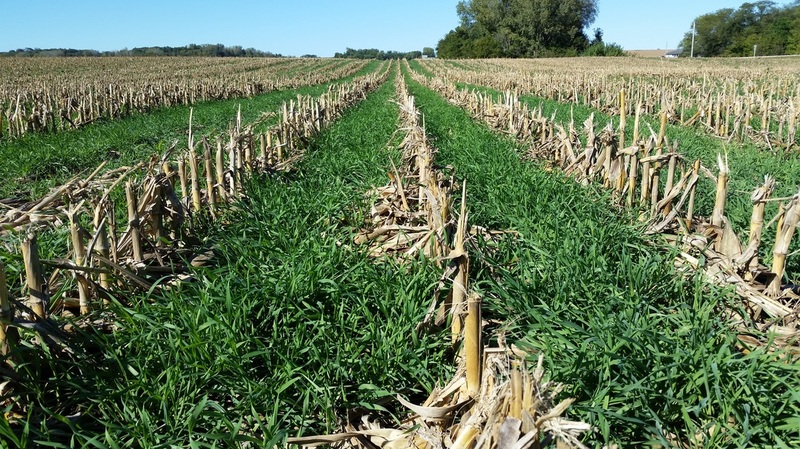 This cereal rye cover crop was flown into standing corn just a couple days before rain. 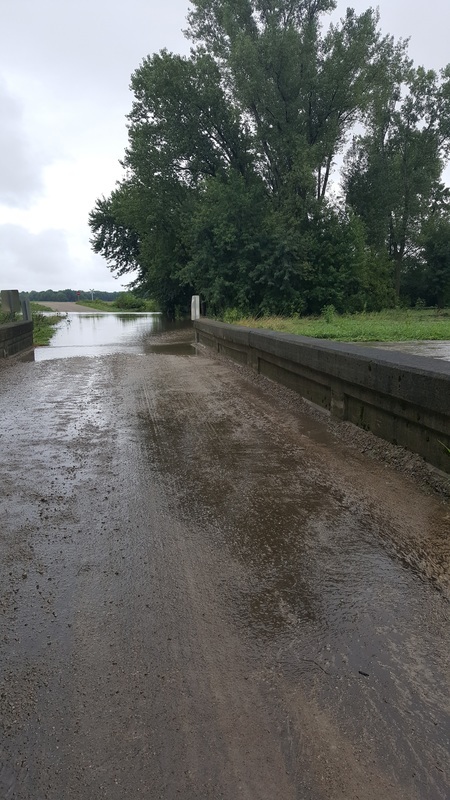 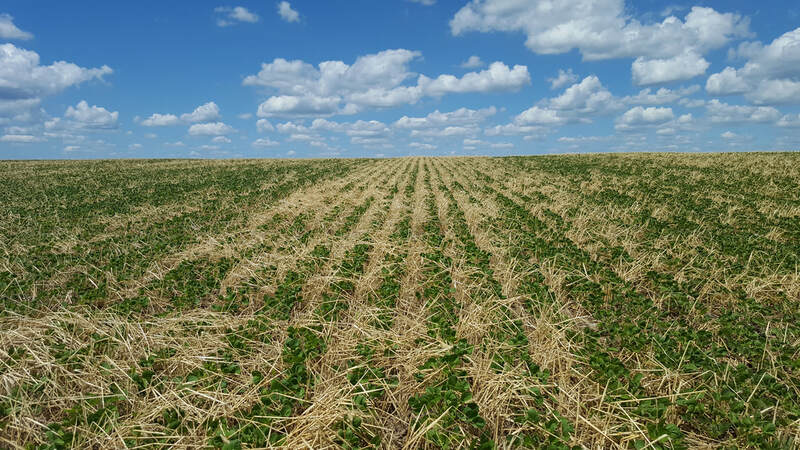 This photo was taken approximately 3 weeks after planting, just hours after a 2-inch rain. 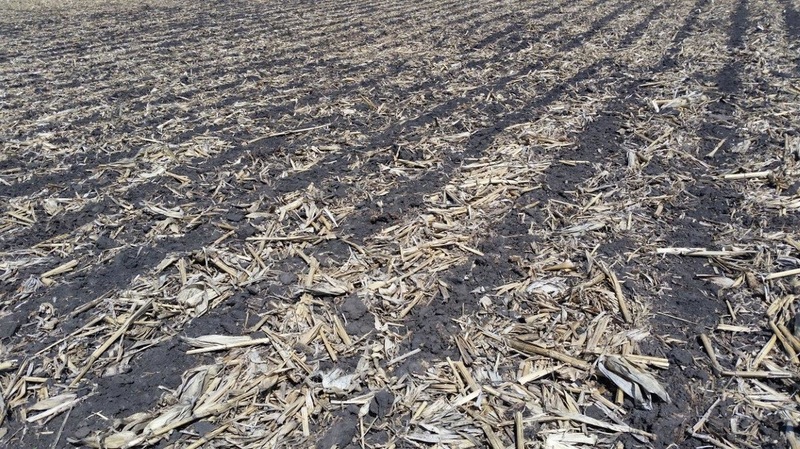 This field has been no-till/strip-till for many years and exhibits great soil structure and water infiltration! 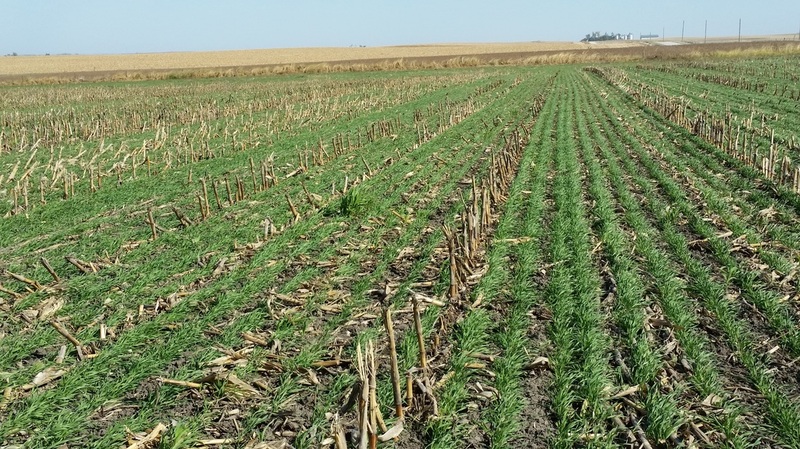 Seed corn production acres are a perfect site for fall cover crops. Because these fields are typically harvested a little earlier than conventional corn, and every 4th row (the male rows) are mowed down earlier in the summer, there is less residue on these fields after harvest, which means they are more susceptible to erosion and carbon losses over the bare winter months. 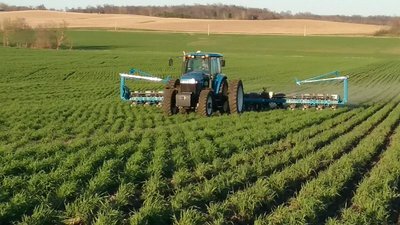 This cereal rye was planted just a couple weeks ago and already has 6 inches of top growth. 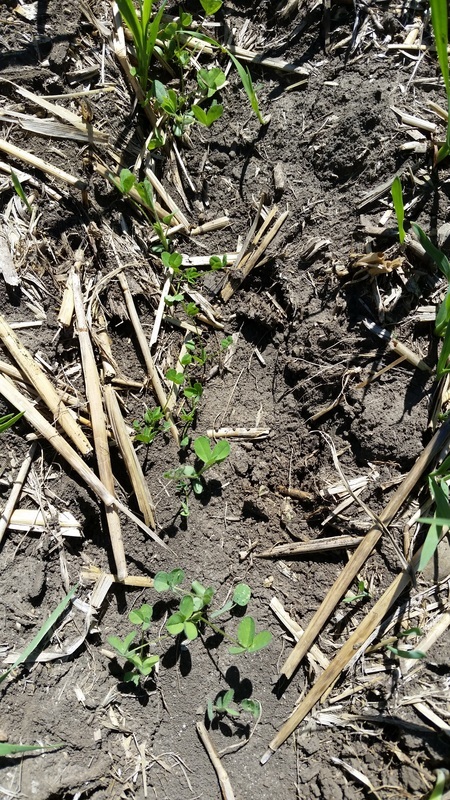 Jackhammer radish 9 weeks after planting. This plant has a large amount of above-ground material, as well as a tuber that will likely grow to be deeper than the plant is tall. 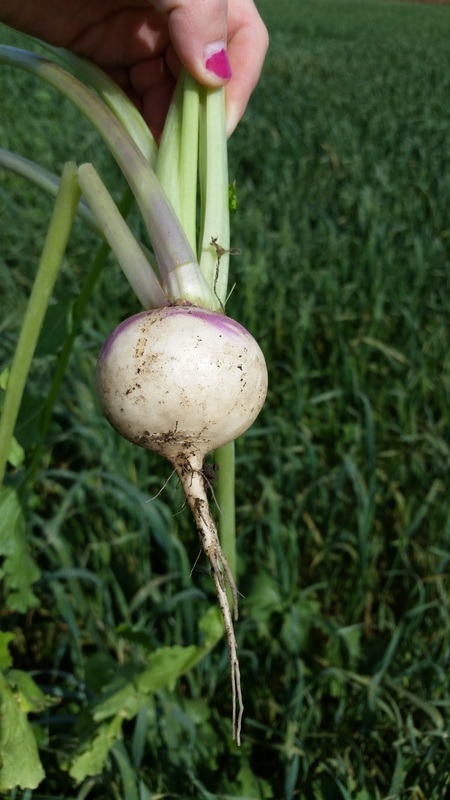 Purple top forage turnip bulb 9 weeks after planting. 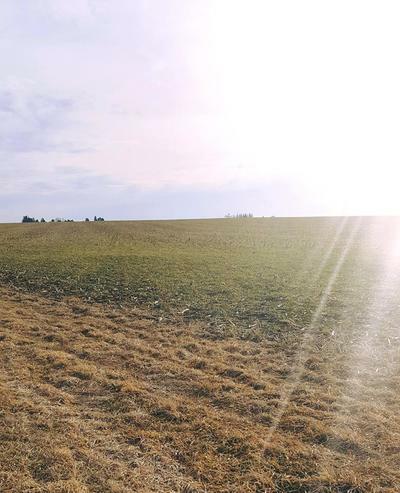 One week before, there wasn't even a hint of a bulb present! When the soybeans start turning yellow and leaves begin dropping, that's a great time to interseed cover crops in Iowa. This allows for the cover crop to get a good growth on it before frost/winter kills it off or the crop goes dormant. 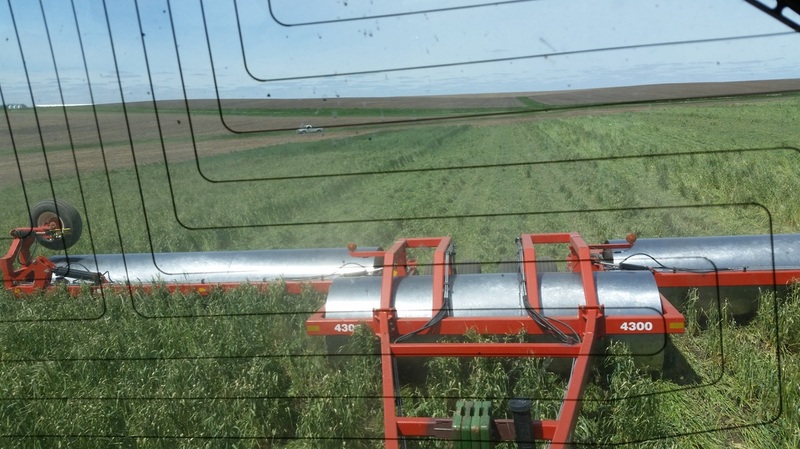 This rapeseed + oats mix was broadcast-seeded using a converted high-clearance sprayer with drop tubes, which can allow for better seed-to-soil contact vs aerial-seeding. 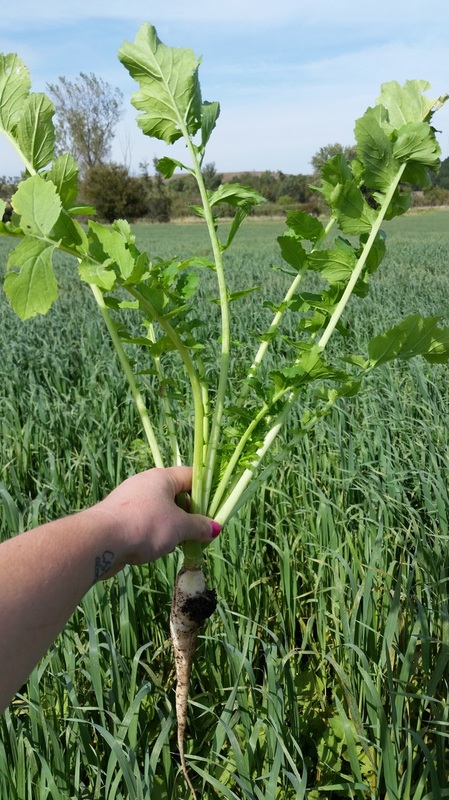 Forage turnips 8 weeks after planting. 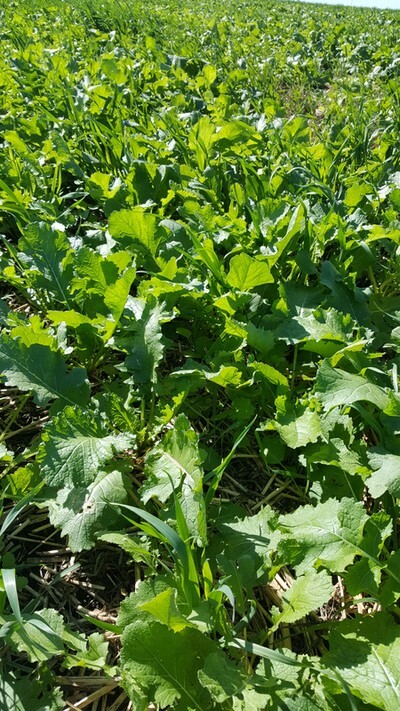 This is a great cover crop as it establishes and grows very quickly - but it should be seeded by mid-September to get good growth before a couple heavy frosts kill it off. 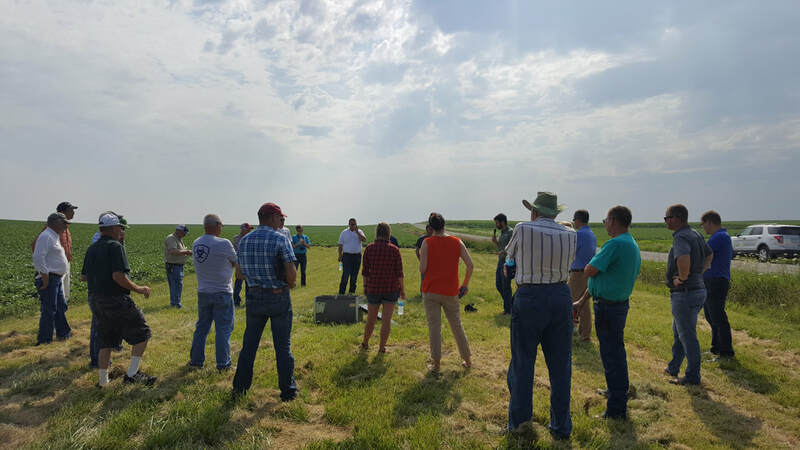 Grassland Oregon donated a mix of Beerseem Clover and Balansa Clover for the plots for our August 25 field day. 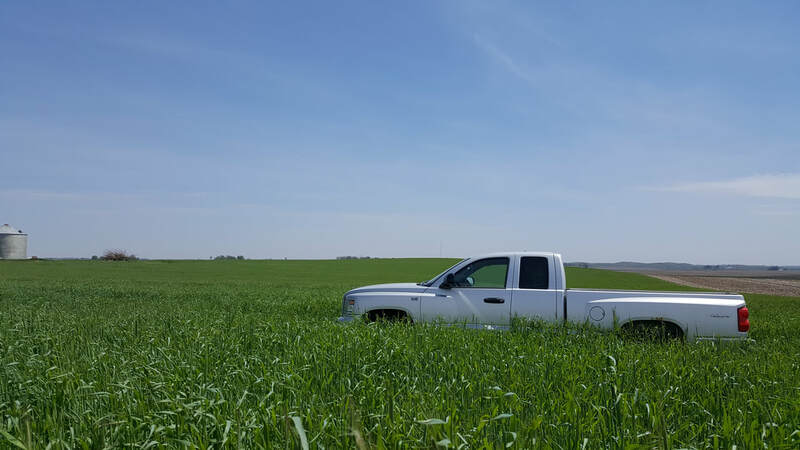 This clover is a little slower to start, but should provide a lot of forage and added-N value, especially if this winter is mild enough they can survive. 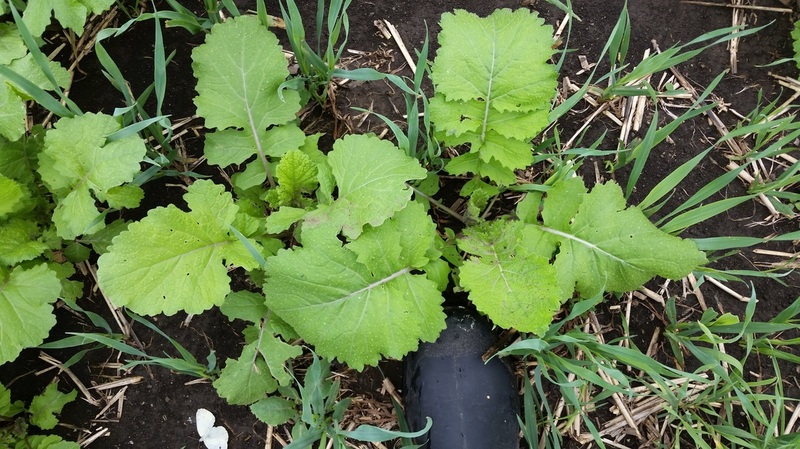 These forage turnips were planted August 4, 2015 and this photo was taken August 7, 2015. They were planted in some oat residue, for some demonstration plots for a field day. 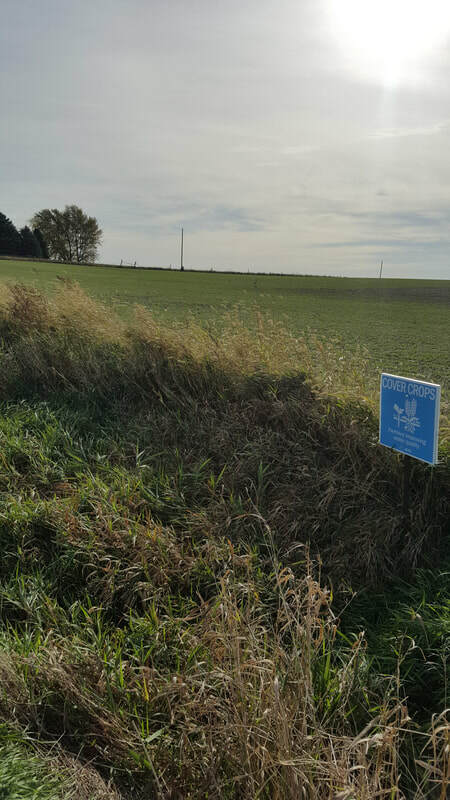 This sticker is 18" high and 36" wide. 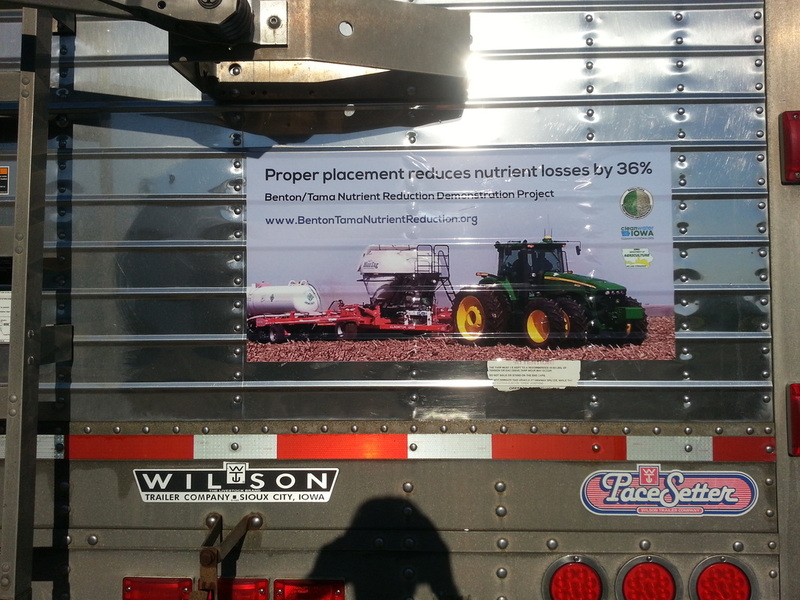 When displayed on the back door of a grain truck like this, it provides an educational fact for someone driving down the road who might not know a lot about modern farming practices, or anyone waiting in line to deliver their grain, and publicity for the Benton/Tama Nutrient Reduction Demonstration Project. 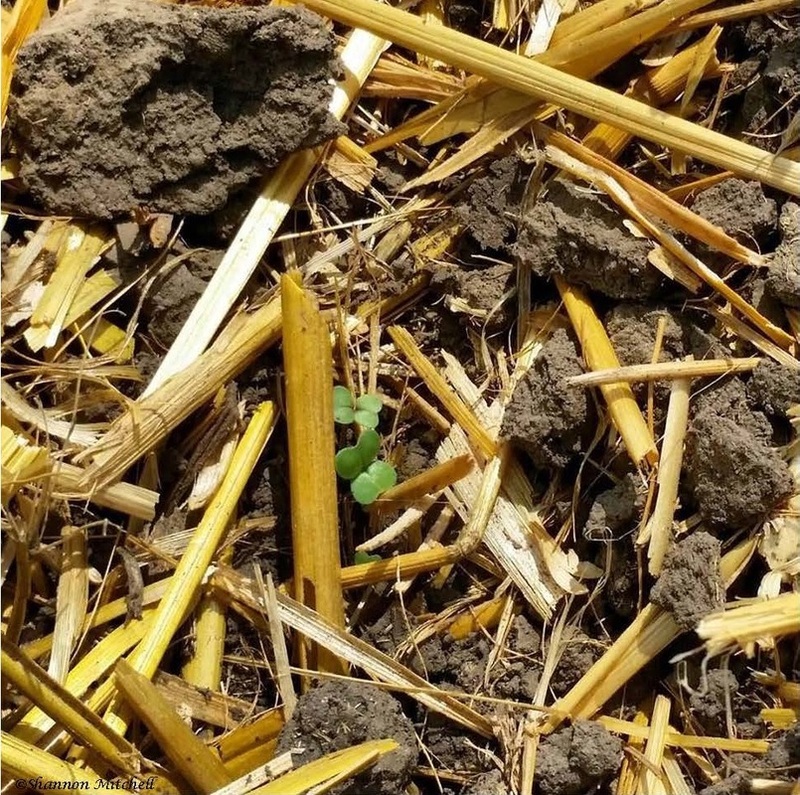 Benton County farmer John Fetzer's soybeans emerging in no-till corn residue. 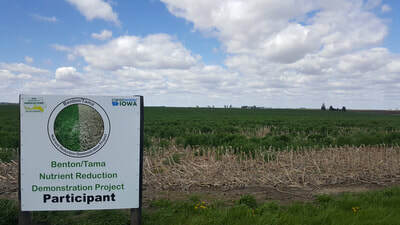 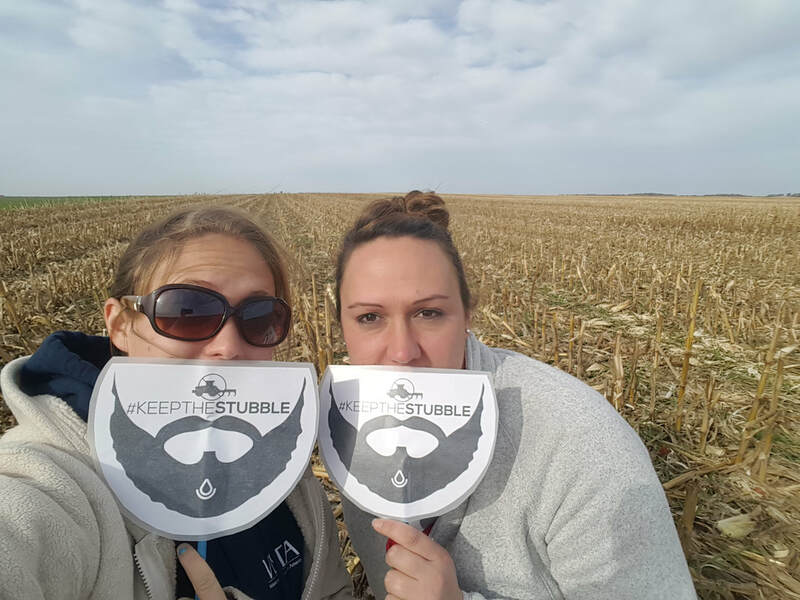 The cornstalk residue and even previous years' corn and soybean residue provides ground cover during the winter months when there is no crop growing. 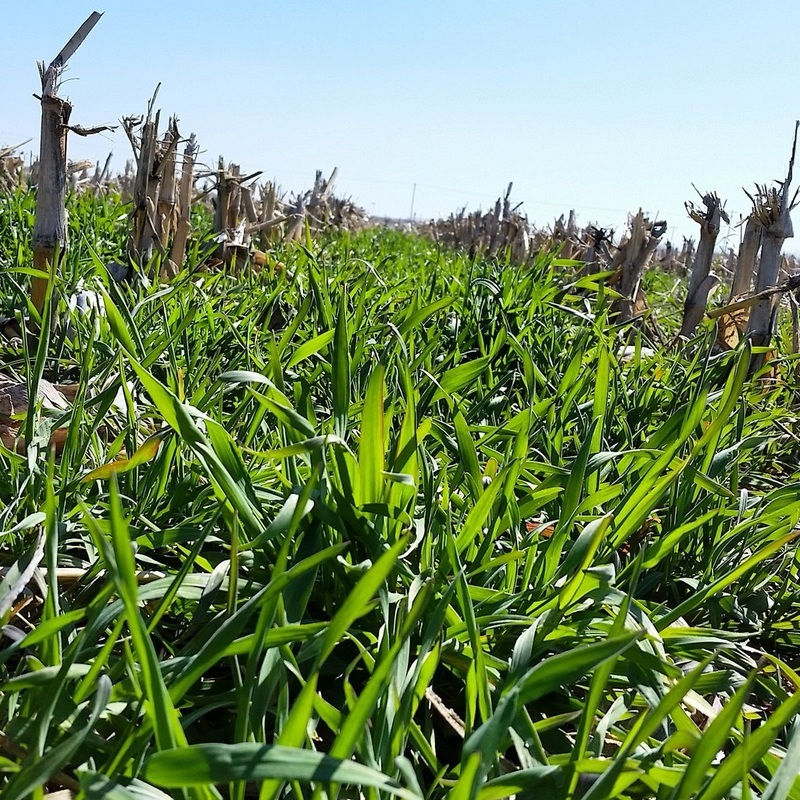 Cereal rye + forage turnip growing in standing corn. 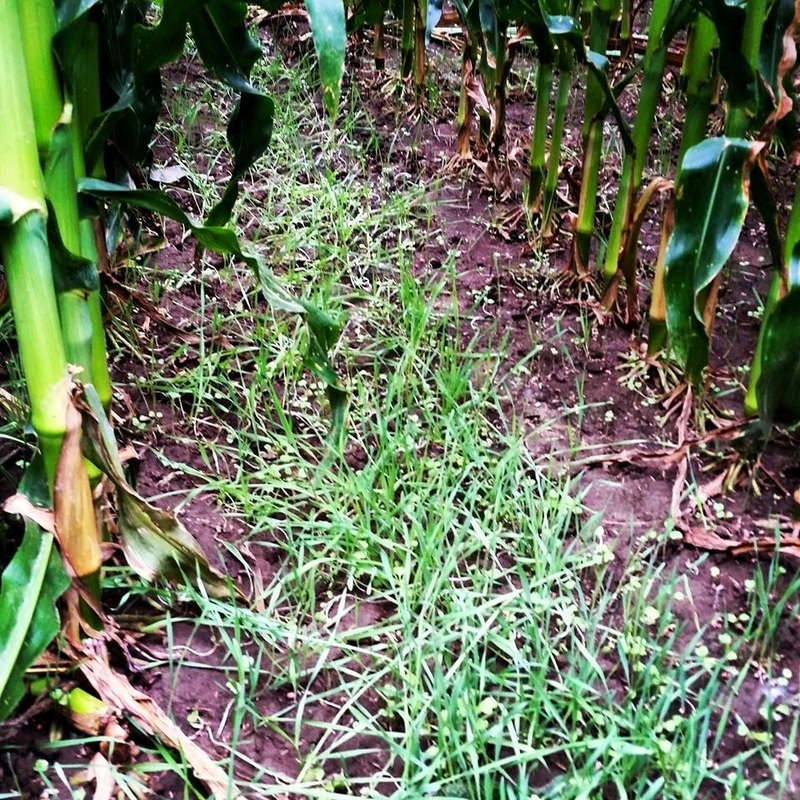 This was broadcast-seeded using a modified high boy spreader in early July. 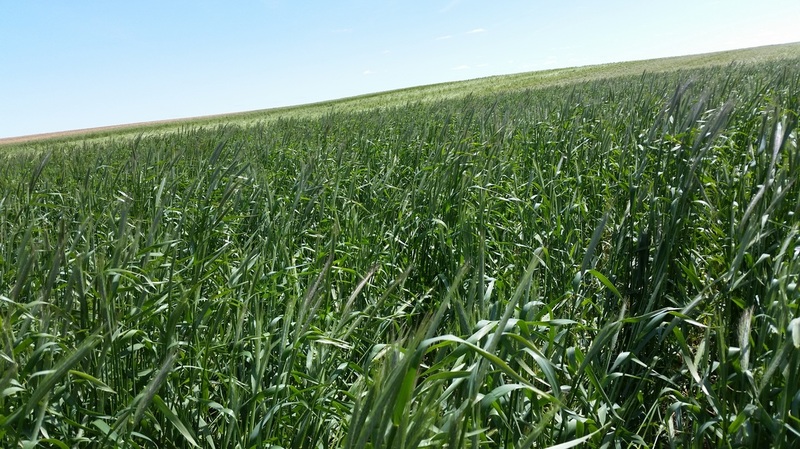 This cereal rye cover crop stands over 3 feet tall when it's done growing. 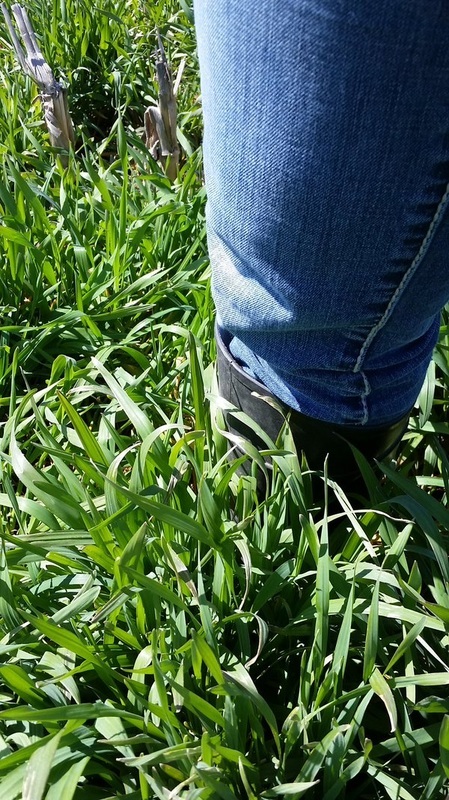 Because the seeds aren't fully developed yet, and the stem is hollow when the plant reaches full height, rye can be rolled and crimped to kill it, and then later sprayed with herbicide if needed. 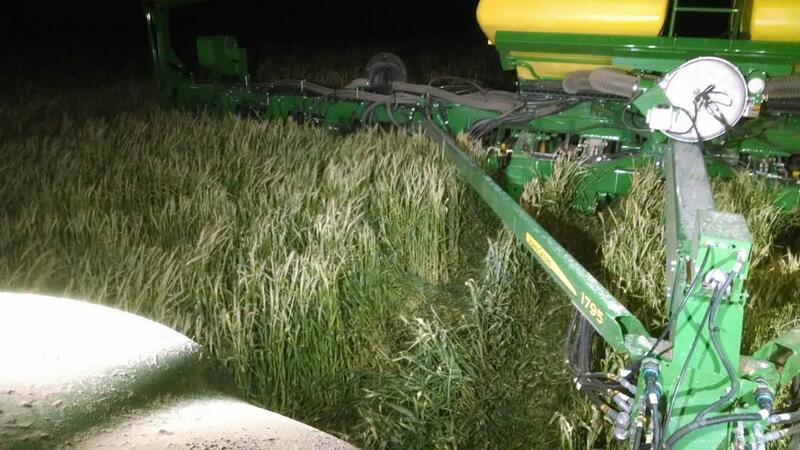 By using a piece of equipment he already had on hand, Mitch Wieben (operator Jeremy Sills) is able to spray down his rye cover crop and then roll it over to make a straw cover for his soybeans to germinate into. 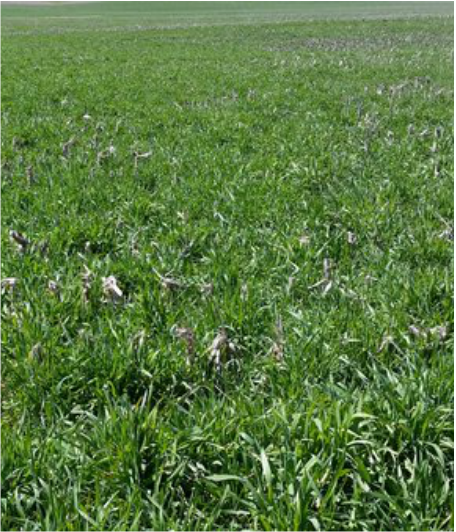 The tall rye cover crop is able to cover the soil for several weeks after it's killed. 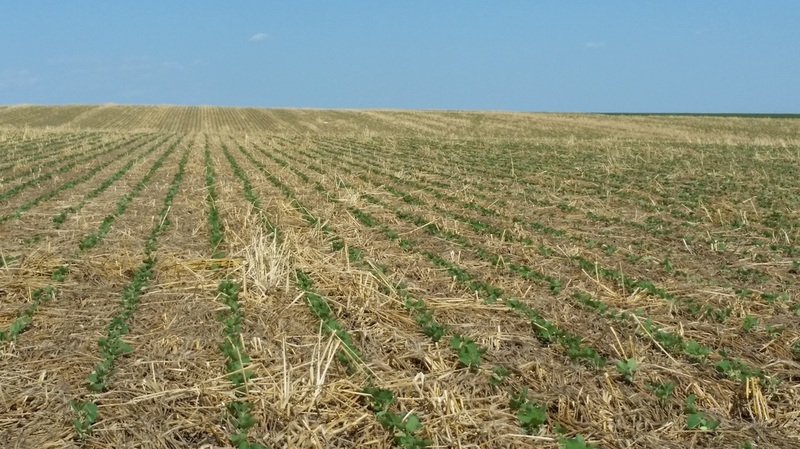 This photo was taken 3 weeks after killing, and the soybeans have emerged into a completely covered, weed-free soil. This will eliminate the need for a second spray pass this growing season. 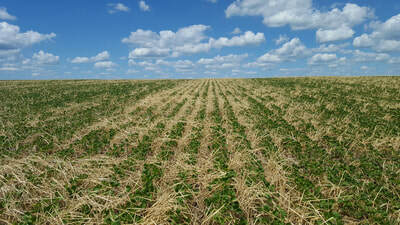 6 weeks after cover crop termination, soybeans are healthy and the ground is still covered by residue. 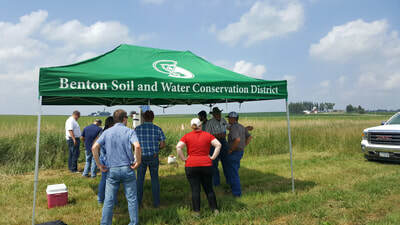 This is good for soil protection, water quality, and building organic matter in the soil for the next crop! 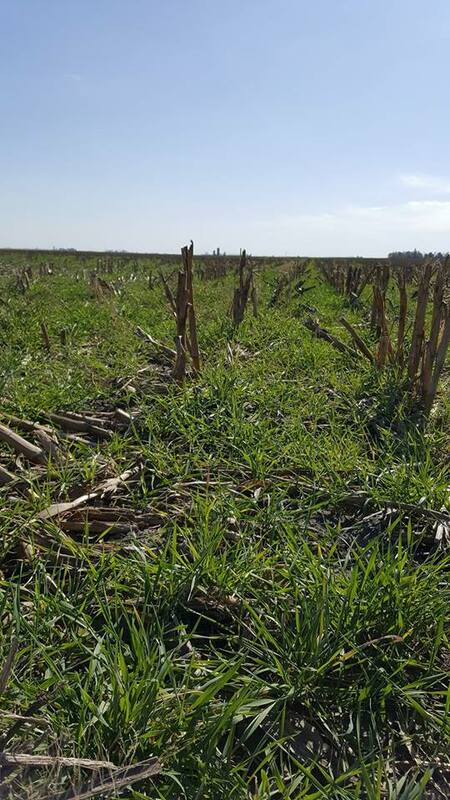 By using strip-tillage on this field, Lance Lillibridge is able to create a perfect seed bed for corn with minimal disturbance to the soil. 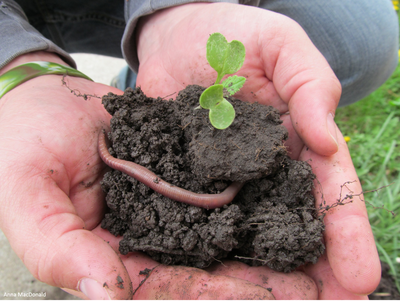 At the same time, he applies a multi-nutrient fertilizer - including a poly-coated Urea- at a depth of 8 inches. 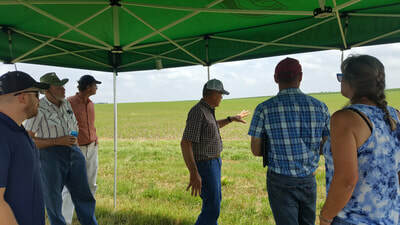 The fertilizer is in the strip where the seed will be planted, and is covered by soil so it won't be washed away-the nutrients will be there exactly when the plant needs them. 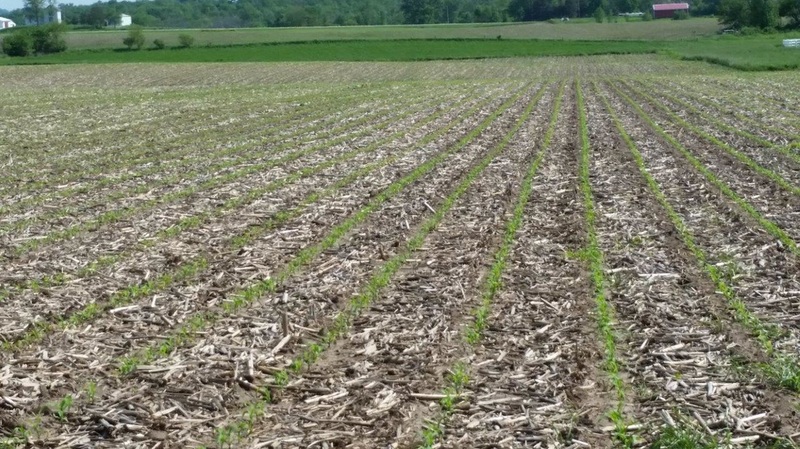 This allows Lance to successfully grow corn-on-corn in healthy soil with minimal nutrient loss. 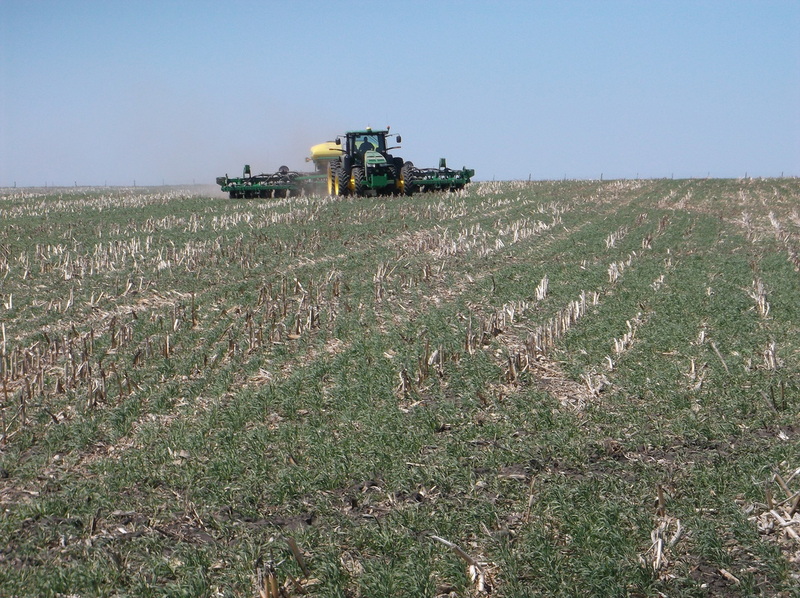 Corn emergence is good because the strip-tillage prepares a perfect seedbed for the corn to germinate in.